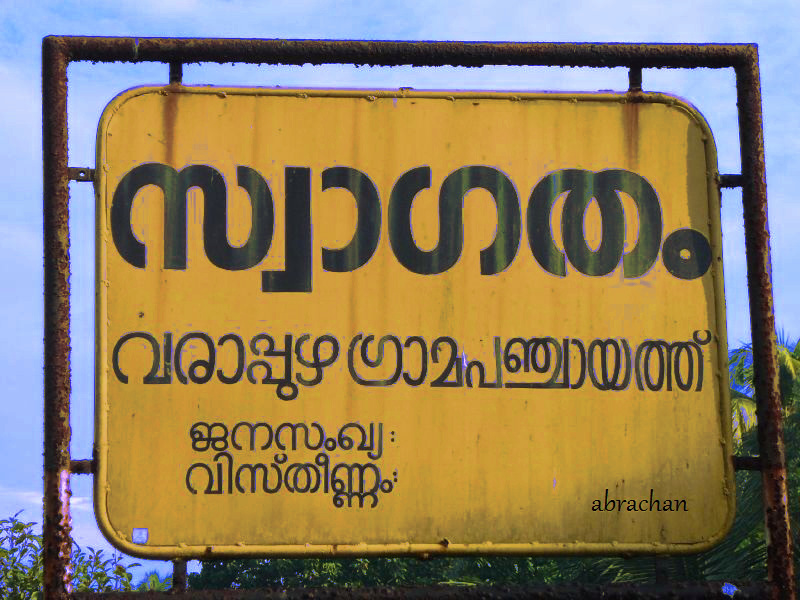 On the way to Kadamakudy this sign board of Varapuzha greets you. What is written in the local language malayalam is “Swagatham’ means welcome. The captions boundary and population are left blank. Are we dreaming of a land without boundaries which welcomes every human being as it’s citizens.